The Android TV box is the first device to receive the 5.1.1 update, although 5.1 for the Nexus 9 tablet has not been released yet. While Samsung decided to skip Android 5.1 Lollipop and go straight to the next major update of Google's mobile operating system, it looks like the Internet search giant itself decided to ignore version 5.1, at least for some devices. This has not been officially confirmed yet, but since Nexus Player has just got Android 5.1.1 and the Nexus 9 tablet did not receive version 5.1 so far, most chances are it will not get that update at all. 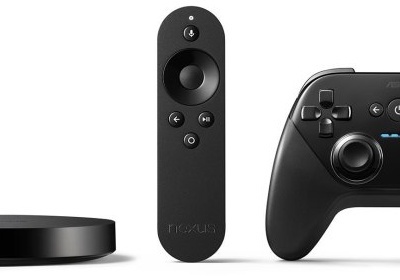 As mentioned above, while the latest 9-inch Nexus slate still runs Android 5.0.1 Lollipop, Google's developers site offers for download the Android 5.1.1 image for Nexus Player. This update carries build number LMY47D and comes inside an archive that has about 447 MB in size. The "Nexus Files for Developers" page contains multiple image files for Nexus devices, including multiple 5.1 builds for Nexus 6, Nexus 7, Nexus 10, and even the older Nexus 4 smartphone. Since the Android 5.1.1 update is available for download it is very likely to see it hitting more devices via OTA really soon. We will get back to it once that happens, so stay tuned.